The New Nintendo 2DS XL was Japan's biggest selling piece of hardware for the last week in Japan, according to Famitsu. The newest member of the 3DS family shifted 36,860 units in its first week on sale, and was accompanied by new releases Hey! Pikmin (79,517) and Ever Oasis (15,907). Elsewhere, stock shortages resulted in a 30 percent drop in sales for the Nintendo Switch, which was in second place with 25,154 units. In third was the PS4 with 21,579 consoles sold, while the New Nintendo 3DS XL managed 9,241 units. If you combine the sales of the PS4 with its more powerful sibling the PS4 Pro, then total sales for Sony's platform were 28,793 - putting it in second place, ahead of the Switch. Hopefully they have held stock for splatoons launch. If the shortages permit for such a major launch in japan, Nintendo will have made a serious error! Also i know there's credence behind the stock shortages excuse but I'm really getting tired of hearing it. Fair play to 2ds for those sales. Man I want FFXII on Switch!! Sad to see that an interesting new IP like Ever Oasis seems to be flopping, while a dull portable Pikmin title, which doesn't seem to hold a candle to the console games in the franchise, sold significantly better. nintendo caniballizing their own shiney new console. sounds like nintendo being nintendo. The New 2DS XL got off to a decent start, not great but decent. I was saying in the forums that there's some notable differences between Famitsu's and Media Create's sales numbers. They reckon New 2DS XL sold 43,315 units and that the Switch sold 31,906 units. I expect New 2DS sales will drop off pretty quickly - probably mostly collectors behind the initial surge. 25k plunge? it's been selling that amount every week for almost 2 months. @Samus7Killer The 2DS XL being released has nothing to do with this happening and you know it. Really for Ever Oasis??? That's a top 5 3ds game for me already and I'm not even half way through. @MegaVel91 i know. i just wanted to make you squirm. but sad they leaving people out of the market in buying a Switch. Very Sad. "Plunge" is hardly the word I would use. Cmon guys don't be click bait. I want FF XII on Switch too ! Not until Splatoon 2 sold for first week. It will boost Switch sales quickly. Regarding Ever Oasis, the town management could be turning people away from it. It's the reason I've passed on it; I find that stuff rather tedious. @Rika_Yoshitake Ya, that's its usual weekly sales and yes it's has been pretty much like that for 2 months at least. Bar a minor sales increase when ARMS launched. Media Create reckon the Switch sold nearly 32,000 units this past week. Which kind of would make sense seeing as Splatoon 2 is out today. I really hope they've been stockpiling for Splatoon 2. BTW, I'm pretty sure those XBox sale numbers are due to stock shortages. Man, these stock shortages are such a shame because the install base would be massive. I am tempted by the new 2ds, I like the blue one. People actually think the New 2DS XL launching at a mere ~40,000 units sold is going to "cannibalize" the Switch?? That's the funniest joke I've heard in a while. After DQXI is released, 3DS system sales will tumble until Pokemon Ultra Sun/Moon is released in November. Poor Ever Oasis...it bombed. Should have been a Switch release; introducing a new IP on old, aging hardware usually never ends well. Surely they held back at least some of the Switch stock for the S2 bundle releasing this week. I've read the EU was getting the bundle as well, was it ever announced for NA? Would have been tempting. The NY store didn't tweet about it, only the 3 amiibo. And not the 3x2 SSB amiibo. Nintendo is dominating system sales in Japan. Might not last forever, but interesting to see how much product they can move. @xboxfanuk That's just crazy. How can a console be THAT dead? 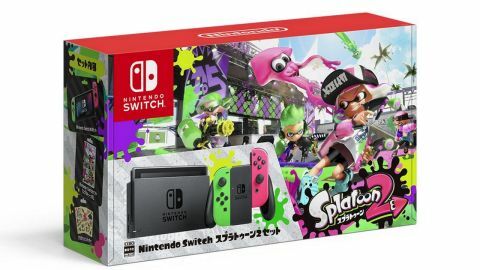 Wait, so Splatoon 2 bundle with Switch came with Neon Green & Pink Joy cons ? Well at least PS4 beat Switch this month due to having 2 versions. I betcha if Nintendo made an XL version of the Switch, PS4 would get crush in Japan easily. @Anti-Matter That's what I read. Was supposed to launch in Japan and the EU today, haven't seen any actual photos, just marketing stuff. Not that I looked for it. Stock is limiting Switch sales, not the number of models. Well not a bad problem for Nintendo to have...low sales because they can't make them fast enough. I don't know much about the Switch and 3DS hardware architecture, but I hope manufacturing the New 2DS XL doesn't take much away from Swith development. it PLUNGED?! ?...wait a second, it's still out selling other consoles. 3ds is still a beast though. Nice headliner it got me to click. And yet they want the switch to be their only system. If that ever happens, Nintendo will be like Sega. @Rika_Yoshitake Yeah I agree, 'plunge' is unnecessarily sensationalist. Shame about Ever Oasis. It was such a charming and fun game (the first 3DS game in years that I couldn't put down until I finished it), and I was hoping there would be enough momentum for it to become a series. I wish they had just released it on the Switch. It would've gotten so much more attention. Really surprised at the low numbers for Ever Oasis. I definitely thought it would do better there. Your Sony hatred seems to be all consuming. Were you attacked by a PS whilst a baby? @Samus7Killer Anyone who thinks that releasing a 2DS is cannibalizing the Switch is an idiot. Two different products/markets/price points. I guess that car manufactures should only sell one model of car so that the others don't "cannibalize" the other. I agree with the analyst. Nintendo should and likely is ending the strategy of having separate home console and handheld platforms. After around a year or so, the 3DS will fade to irrelevance, and Nintendo main focus will be on Switch, with mobile gaming on the side to help. The New 2DS XL launching to less-than-stellar sales (which is to be expected, given how old the 3DS is), new titles like Ever Oasis bombing, and handheld franchises like Fire Emblem and Pokémon moving to the Switch should speed up the 3DS's fall and the Switch's continued rise. @westman98 well, the 3ds/2ds is outselling the switch, which is awesome and shows that people don't mind playing that "old" system. Furthermore, in regards to Ever Oasis, people are getting flat out sick of all these RPGs. That's all nintendo seems to focus on anymore is flooding us with those games. They really need to branch out and do what they did 5+ years ago and sell a wide variety of games again. Software is the one and only heartbeat of a successful game system. Despite the switch being hard to obtain, even if it was on every store shelf it would still struggle in the long run without extensive software to appeal to the masses. The reason why the Nintendo DS sold better than any other game system came down to a gigantic software catalog that covered a vast number of genres and appealed to people of all ages. So far, Switch is lagging way behind what a typical system does at this point in its launch. And honestly it's way overpriced for what little it offers. The 2ds is available, affordable, and has comparable hardware at half the price plus you can play thousands of games on it. Why would anyone want a switch in light of that?! So far, from the launch of the Switch until now, this has been the only week that the 2DS/3DS has outsold the Switch in Japan, all thanks to the launch of a new hardware model two weeks before the launch of DQXI. "So far, Switch is lagging way behind what a typical system does at this point in its launch." This is factually incorrect. Do you even look at hard numbers, or are you just voicing an opinion as fact?? Your comment is even more ridiculous in other territories, such as the US, where Switch sales are currently outpacing 3DS sales by over 60% when launch aligned, with significantly more successful software sales to boot. @westman98 ""So far, Switch is lagging way behind what a typical system does at this point in its launch." This is factually incorrect. Do you even look at hard numbers, or are you just voicing an opinion as fact??" No it isn't. Switch is lagging behind all typical successful systems in Japan, like Wii and DS, and even 3DS, which had a notoriously slow start compared to Wii and DS, and got a price cut just 4 months into its lifespan. Those are the hard numbers. Is it hard for you to accept them? @westman98 Mahe pretty much said what I was going to in response but I'd also like to add to that, I was primarily referring to the fact the switch is missing the backbone - the lack of software - to give it sales or longevity unlike other systems this far along after their release. Only Nintendo is dumb enough to make the biggest launch games be simply ported over games from the previously failed system. Ridiculous. The Switch's current LTD in Japan is about 9% below the 3DS's LTD when launch aligned, even with the component shortage issues. Splatoon 2's launch should change that. And that's just Japan. In the US, the only Nintendo hardware with better hardware sales when launch aligned are the GBA and Wii. I LOVE my PS2 Slim White because ONLY PS2 & PS1 games that really captivating me from Sony (I played DDR, FF XII, Bomberman Battles, FF VIII, Street Fighter Alpha 3, etc), also my video games machine during my Teenhood. But, PS3 was Extremely a big disappointment for me. Very few appealing titles for me due to Too Much adult games , lesser Kids friendly titles (Less than 6 titles to be chosen) and so did PS4. I started to hate Sony at this point. But, I was Silenced for a bit after I heard FF XII The Zodiac Age PS4, my favorite PS2 games in HD Remaster. So, I was a bit softer, but still don't like with PS4 brand image and its notorious reputation. I got 7 PS4 titles in my shopping list, 3 of them are PS2 Remaster ( FF X/X-2 HD Remaster, FF XII The Zodiac Age, Kingdom Hearts 1.5+2.5 HD Remix) and 4 PS4 games (Portal Knights: Gold Throne Edition, Earthlock: Festival of Magic, Overcooked: Gourmet Edition, World of Final Fantasy). I do like those games because ONLY those titles that caught my interest. Actually, I really want those titles played on Nintendo Switch since I hate with PS4 notorious brand image so I have a plan to buy PS4 just because for a Guarantee to play my chosen titles . But, If ALL those 7 games appear on Switch, I will GLEEFULLY jump from PS4 , stay on Nintendo Switch forever because those titles for me are really worthy on Nintendo Switch as my games library expansion (Hahaha... I will be a traitor of ps4 ). So far, only Portal Knights and Overcooked confirmed will be on Switch too, 2 titles will be jump from PS4 to Switch system. So, I didn't really hate Sony. Only PS2 & PS1 games that I like by genuinely. But, Nintendo games are really my True Lover for me. I got more than 100 titles in my list altogether for my Nintendo games (All of my Nintendo games from NDS, 3DS, GBA, Gamecube, Wii, Wii U & Switch) compared with PS2 + PS1 games altogether just only more than 70 titles. Oh, the reason why Nintendo is my True Lover because... Nintendo has More Kid friendly games, More appealing titles for me, their machines look so adorable, Colorful, Quirky but fun, exactly just like I want. And I ONLY play Appropriate games (Rated E, E10+ & Teen) for both Nintendo and Sony games. I'm not sure if I'm sold on Ever Oasis yet. I played through the demo, and while I enjoyed the world exploration and dungeon concepts, I'm not sure if I'm sold on the oasis management portion just yet. I might play through it a couple more times just to get a better feel for the game. If I like it, it'll go on the old Christmas list. @westman98 So is Switch lagging behind typical systems, or is it not like you previously claimed? Try to make up your mind. 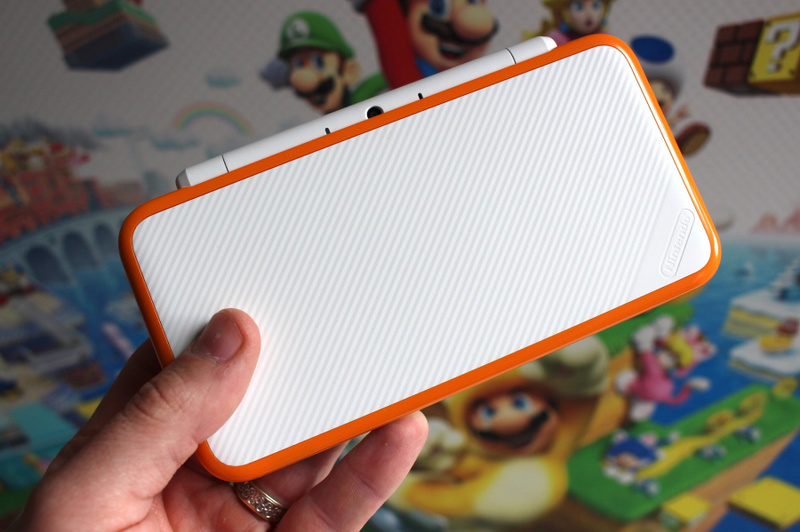 @gcunit "I expect New 2DS sales will drop off pretty quickly - probably mostly collectors behind the initial surge." You really have to define what the phrase "typical systems" means, because I don't know what that means. The Switch currently lags behind the GBA, PS2, Wii, DS, and 3DS (slightly) in sales in Japan. Of course, there are many things to consider when looking at sales of gaming systems just 4 months into their lifespans, such as the launch period, supply issues or lack thereof, availability in other territories, etc. Platforms such as the NES, SNES, GB/GBC, PS1, PSP, and PS3 all had very slow starts, but ended up selling quite well in the end (well, maybe all except the PS3). None reached epic sales milestones during their first 4 months on the market. I, like others, am really surprised at Hey Pikmin out selling Ever Oasis. 35 Xbox consoles?! Thats a new low for them. The fact they are still there baffles me. Nintendo really needs to do something about the stock shortages with the Switch. I have defended them for a while now, because I know there are issues with suppliers, but this is getting to be absurd. @westman98 "The Switch currently lags behind the GBA, PS2, Wii, DS, and 3DS (slightly) in sales in Japan." There you go. Something like the Wii U is not a typical system, and just barely surpassing Wii U sales is not a good sign for Switch. There's also the fact that the games being sold are not for the new system where gamers already don't have massive backlogs, instead the systems where people already own loads of games are selling even more of them. 9 out of the games in the top 20 were for 2DS and 3DS, and 6 were for PS4. This doesn't look to be changing any time soon. The Switch is not "barely surpassing" the Wii U. It is significantly surpassing the Wii U. It will almost certainly outsell the Wii U by the end if Nintendo's fiscal year ending March 2018, if not by the end of this calendar year. Not selling as fast as the GBA, PS2, Wii, DS, and 3DS after 5 months does not equate to "barely surpassing" the Wii U. Platforms like the NES, SNES, GB, PS1, PSP, PS3 etc all had slower starts than the Switch; do you think they were "barely surpassing" the Wii U as well? And also, there is no instance in history where any 5 month old platform has dominated the software sales charts in any territory (maybe the originL NES was an exception, but that was some time ago). Look at the software sales for any successful gaming system just 5 months into its lifespan, and you won't see many of its games at the top of the sales charts; instead, you will see games from older, establisbed systems with much bugger install bases (32 million for 3DS + PS4 + PSV in Japan right now) dominating the vast majority of the sales charts. What you are literally trying to tell me right now is that because the Switch isn't completely owning the Japanese software gaming market in 5 months, then it's failing. That's completely and utterly ridiculous. What's even more ridiculous is that you think the situation won't ever improve, even as the Switch install base and number of releases increases over the years. Nice start for Ever Oasis, it seems. I did buy the game a few weeks ago, but have yet to properly play it. @westman98 Actually, Wii U and PS3 were similar in the beginning. Wii U crossed 1 million sold in Japan in July 2013, in a similar timeframe as PS3 back in 2007. Switch is not that much ahead of Wii U, and again, it's behind 3DS, even with the slow pre-pricecut sales. Of course, we know that Wii U did the worst out of these systems in the long run. But so far, there is no indication that Switch will ever be able to catch up to the 2DS/3DS family total sales. Wii U, yes, PS3 in Japan, possibly, but even that will take a long time. Again, platforms like the NES, SNES, GB, PS1, and PSP etc all had slower starts than the Switch; do you think they were "barely surpassing" the Wii U as well? Ever Oasis looks cool but I don't know if I can go back to the 3DS now that I have a shiny new Switch. Nintendo could sell four or five times as many Switch units if they just had the stock available. Some people will claim that they're opting out of this on purpose. To generate "hype". @westman98 Outside of PSP, you're talking of systems that are 20 to even 30 years old. When looking at modern Nintendo and the current era, it's obvious that Switch is falling behind, and that's a big problem if they really mean to replace both 2DS/3DS and Wii U with it. It means that even out of the people who bought Nintendo's previous systems, many will not get a Switch. That includes people like me. I'll have a 2DS for handheld games and PS4 is a great home console, but if there is no 2DS successor after New 2DS XL, and Switch doesn't get better, that means I will completely exit the Nintendo ecosystem. Trust me, I will do completely fine without a Nintendo system if the only option is Switch. Again, it's not the sales milestone reached that matters in such a short time frame; it's the sales tragectory and the potential changes in that tragectory upon the release of more software, changes in price, increase in stock, release of hardware revisions, etc. The Switch is currently being impacted by a component shortage, which has slowed hardware sales in Japan, which explains why massively popular lotteries are held for Japanese consumers to purchase one. Outside of Japan, Switch sales are much better due to Nintendo allocating more if their limited stock elsewhere, which is why it sells much better in North America and Europe. Of course, you never acknowledge this, becuase it doesnt fit the "Switch is doomed" narrative that you have come up with. I don't know what you want Nintendo to do to "improve" the Switch. It sounds like you won't be interested in one no matter what. The most they'll do is make a handheld-only Switch, but if you expect Nintendo to suddenly regress and making a new dedicated handheld that sits in a weird position between a 2DS and a Switch, or suddenly "join" Microsoft/Sony by making a 3rd "traditional" console, then you're out of luck. @westman98 You're ignoring Switch's poor sales after launch in other regions. Even in the US, PS4 is constantly putting more distance between itself and Switch, and that's despite the 60 million headstart it already has worldwide. After the Switch early adopters bought in, interest in the system is quickly dropping. Even existing Switch owners can't be bothered to buy the high-profile games after a long drought, just look at Splatoon 2's UK performance. "if you expect Nintendo to suddenly regress"
They already did that with Switch. "making a new dedicated handheld that sits in a weird position between a 2DS and a Switch"
If Nintendo don't make that system, a lot of previous 2DS, DS and 3DS owners will opt out of their handhelds altogether, and play games on their smartphones or other devices. "making a 3rd "traditional" console"
A new Wii-like console is what I'd like to see. Currently PS4 is the closest to that. The Switch is not "selling poorly" in the US (its sales are tracking above the holiday-launched DS and over 60% above the 3DS when launch aligned). The PS4 simply outperformed sales expectations by a lot thanks to that gold $250 PS4 sold in June, while the Switch sells whatever Nintendo is able to ship, with no temporary price-reduced gold-plated new model in existence. I still think the PS4 will sell more than the Switch in the end, but that doesn't mean the Switch is a failure. It seems like it does to you, which is fitting as all you do is find any situation where the Switch isn't the bestest, fastest-selling thing ever, make a doomsday assertion as fact, and exaggerate that assertion into a proclamation of "Nintendoomed". @westman98 "Enjoy your 2DS XL and the games that it gets while it is still being supported. Have a good day "